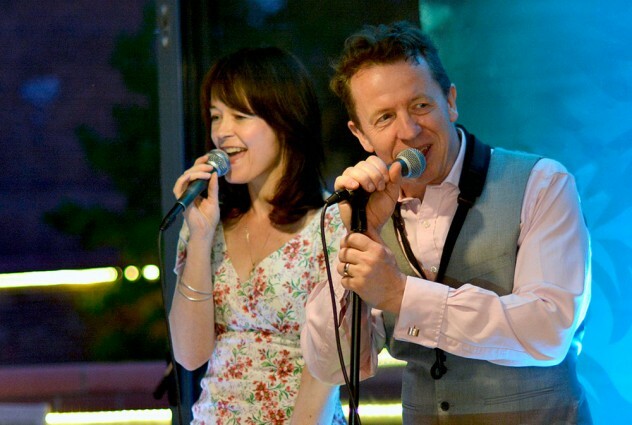 Sax and Singer Lynden and Andrea specialise in providing stylish, sophisticated and popular jazz made famous by Ella Fitzgerald, Frank Sinatra, Nina Simone, Bobby Darin, George Benson, Eva Cassidy, Van Morrison, Stevie Wonder, Norah Jones and many others. Lynden and Andrea are a husband and wife duo. They met by chance in a jazz club in Christchurch, New Zealand, in January 2000. Together, they formed a unique jazz duo, with cool, tenor sax tones and exquisite, velvet vocals. Their set list of more than 150 songs features all the most requested jazz hits from the Rat Pack era to the present day. Including classic sing, Jumping Jive, romantic ballads, cool Latin jazz and modern turns with a jazz flavour. Sax and Singer Lynden and Andrea’s sophisticated, elegant sound is ideally suited as background music. For example for a champagne reception, sit-down meal or cocktail party. They can also provide a high-energy, upbeat jazz set which is perfect for dancing. Having played at over 1,000 weddings, they understand how unique each one is. Finding out exactly what you want, and delivering it in a way that is right for you, is core to what Lynden and Andrea do. Please get in touch to find out more about Sax player Lynden and singer Andrea. 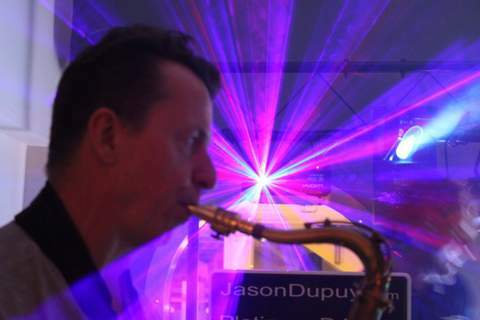 Call us on 01322 412494 or send an email to jason@platinum-djs.com.